A pair of Metro Detroit natives are among the cast of a Joel Grey-directed version of Fiddler on the Roof — all in Yiddish. Michael Yashinsky and Daniel Kahn each grew up in Farmington Hills thinking about the possibilities of stage careers, but they didn’t get to know each other until 2016, when they were enrolled in a theater workshop, part of the performance festival Yiddish New York. That workshop helped lead the way to a shared milestone — joining the cast for the first United States-based Yiddish production of Fiddler on the Roof. Yashinsky, who played main character Tevye in an English version of the play while attending the Frankel Jewish Academy, takes on two roles — Nachum, the beggar, and Mordcha, the innkeeper. Kahn, who earned stage credits portraying many characters for the Jewish Ensemble Theatre Company (JET) starting at age 12, has the role of Perchik, a revolutionary teacher who falls in love with Hodel, one of Tevye’s daughters. The musical, directed by award-winning stage and screen star Joel Grey, 86, is staged with supertitles in English and Russian. It runs July 4-Aug. 26 at the Museum of Jewish Heritage in New York and is an initiative of the National Yiddish Theatre Folksbiene (NYTF), the longest continually producing Yiddish theater company in the world. Based on Tevye the Dairyman, a series of stories written in Yiddish by Sholem Aleichem between 1894 and 1914, the musical Fiddler on the Roof has not been performed in Yiddish since its world stage debut in Israel more than 50 years ago, when it was translated into Yiddish by Israeli actor and director (and Holocaust survivor) Shraga Friedman. For this historic production, more than 800 people auditioned for only 26 roles. “Hearing this show in Yiddish is both new and exciting,” says Yashinsky, who studied European history and literature at Harvard while participating in extracurricular theater. He went on to direct Michigan Opera Theatre productions and assisted with special projects at the Yiddish Book Center in Massachusetts. Yashinsky describes his Fiddler roles as representative of people who lived in the shtetls of the Sholem Aleichem tales. Yashinsky began learning Yiddish by listening to his grandparents speaking the language and his parents using lots of Yiddish words. His grandmother, Elizabeth Elkin Weiss, led Yiddish activities in Detroit. After college, immersion in the language became a special interest, and he attended a creative writing program at the Yiddish Book Center before buying a textbook and teaching himself the vocabulary and idiom. One way he applied his knowledge was through songwriting, and he introduced a song of his at a music festival. “My connection with NYTF started in December, when they put on a production of a classic Yiddish operetta, The Sorceress, that the company restored,” he says. “I auditioned for it on a whim and got the title role. It’s a drag part, always played by a man. 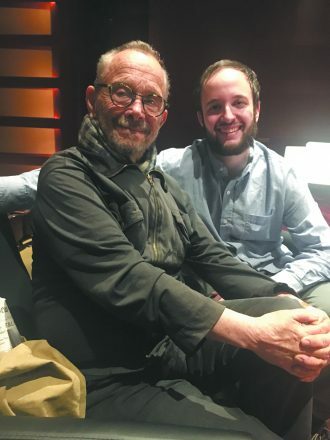 Yashinsky, who soon will be teaching Yiddish at the University of Michigan, has appreciated working with Joel Grey. 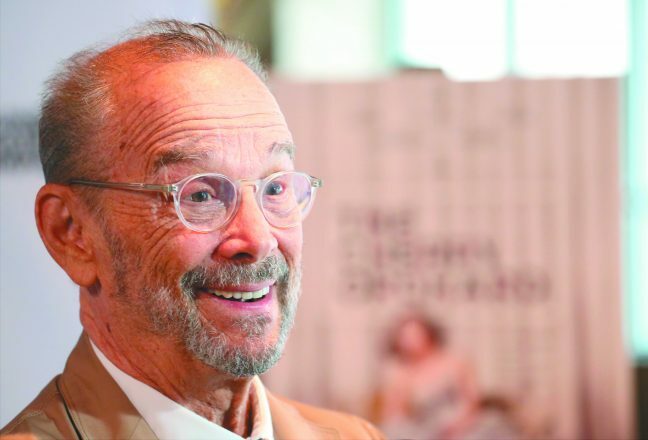 “Just like growing up with Fiddler on the Roof, I grew up watching Joel Grey in Cabaret and being delighted by his performances,” Yashinsky says. “It’s an honor to be directed by someone who has been a light in my own life and shows what a performance can be — rich, lively, entertaining and humorous. “He’s been very insightful in rehearsal, and he has an interesting style of direction. He’s not domineering. He suggests things in subtle ways or asks questions about characters or motivations. 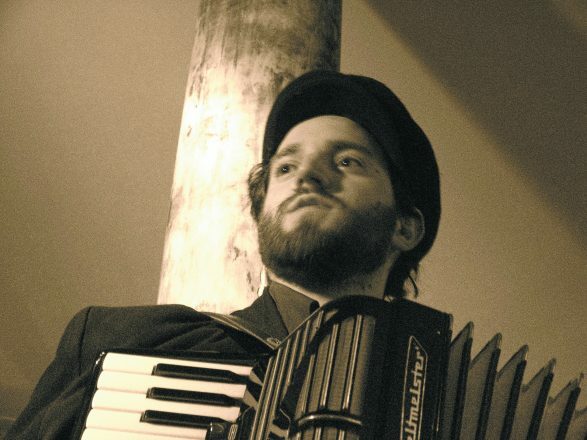 Daniel Kahn, whose main work is as singer-songwriter with his klezmer-centered band Painted Bird, connected with Fiddler through Zalmen Mlotek, NYTF artistic director and musical director for the show. Kahn, 39 and based in Berlin, demonstrated his talents over Skype. “What drew me to want to be part of this production was the idea of a kind of cultural homecoming for the play itself,” says Kahn, who attended the Roeper School before studying theater and writing at the University of Michigan. “I’m a big fan of Sholem Aleichem’s literature, and it’s a real inspiration to hear the songs in the language in which they should have been originally. After learning and recording Yiddish songs, Kahn studied the language at the YIVO Institute for Jewish Research in New York. At a Yiddish New York festival, he performed some Fiddler songs with a group and met Sheldon Harnick, the festival speaker. When Yashinsky and Kahn get back to Michigan, they visit the same Farmington Hills subdivision, where their parents — Debra and Gary Yashinsky, and Marcia Kahn — are neighbors. When Kahn next returns to Berlin, he will be leaving behind the focus of a fictional wedding to focus on a real one. The Yiddish version of Fiddler on the Roof will be performed July 4-Aug. 26 at the Museum of Jewish Heritage in New York. Tickets start at $66. (212) 213-2320; nytf.org.